Ultimate Change will come after few months (Allah knows best). 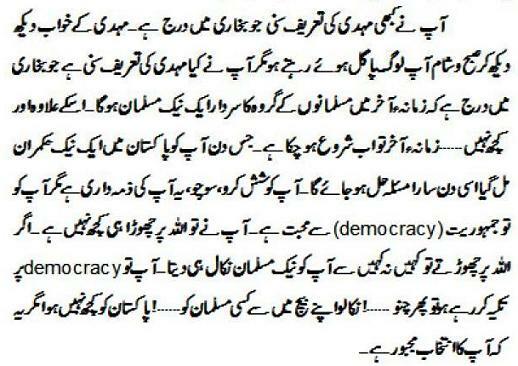 Some Worth Reading Excerpts Related to Pakistan’s Future & Imam Mehdi A.S. This entry was posted in Prof. Ahmad Rafique Akhtar. Bookmark the permalink. Thanks Brother for help, actually book compiler added note at the start of the book 'Istafsaraat' that he couldn't understand the word properly. He sometimes used word 'Aleem' and sometimes 'Aleen' in the book so i also indicated this in comments.I also think they were jews. 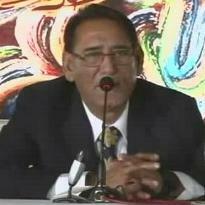 The decision made by supreme court bench against PM and the behavior of the government is a shame to the whole nation and another black spot on the face of the history of Pakistan.But people do not understand it.Remember, what hazrat Naimatullah shah wali r.a predicted about the corruption of the Qazi or judges.I request Faqar brother to please publish these predictions about corrupt Qazi,Judges again. I have hard it many times in Prof. Sbs lectures, when he talks in reference to Pharaoh (Aale Firaun…). I think it is Qaume Aaleen. 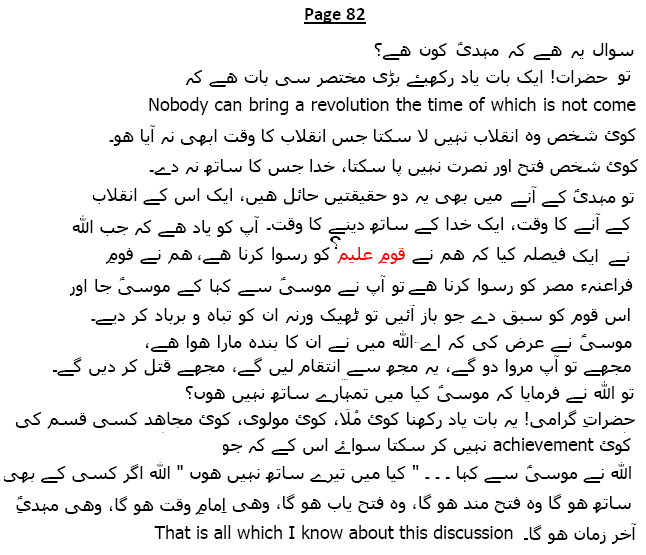 Professor Sahab has said that the definition of Mahdi (ra) is just a "Naik Aadmi" according to hadith. Why is he ignoring other details given about Imam Madhi (ra) in Ahadith? Issac was not nick named as ISRAEL it was JACOB. I think that was about DOGAR courts……Its a shame but for Crime minister not for the judges. Ab ye kuch bhi karain ge in k against jaye ga bulke against ja raha ha, fikr ki koi baat hi nahin, Quran ke wazeh ahkaamaat hain jo amal nahin karta aik din ruswa hota hai. @AnonymousPof. Sb has many lectures (also in his books) discussing other details too, see point 5 aboveYou can download and visit and read his books fromhttp://www.alamaat.com/ebooks.phpI have studied his books, I ensure you he goes in depth when describing other Ahadith. Al-Burhan fi' 'Alamat al-Mahdi Akhir al-Zaman who is the author of this book? @Faisal FarooqBaqol aap ke aap ko pata hai ke hazrat Meddi aur Hazrat Isa a.s iss dunya mai tashreef la chukay hain. Hum log intizar kar rahay hain ke kab aap iss raaz se pardah utain gay,shaid 2013 or 2014? People don't believe in his predictions.He is predicting about change in Pakistan in two or three months, since last three years.But as we see nothing changed. instead, every thing is worsen in these years. Mulk kisi hukumat ke baghair chal raha hai.executive ke kursi par siah jhanda lehra raha hai??? @TARIQWe will find Imam Mehdi a.s using signs foretold in Hadiths. Greater sign of coming of Imam Mehdi is earthquake in hijaz at place of Bayeda in which force of Sufyani following Imam Mahdi will be destroyed. At that time all Muslim will know who is Imam Mahdi. 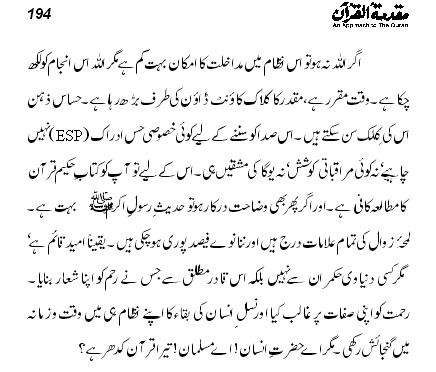 Yes it is expected during 2013/2014….Hazrat Isa a.s is prophet of Allah. To recognize Him a.s we don't need signs but faith. 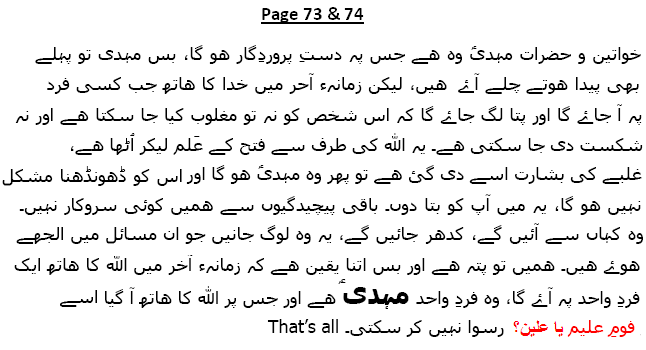 Dear Faisal,Please send me important Scanned Pages of Pakistan Kahani at my email spiritualpakistanfuture@gmail.com. InshaAllah I will upload here so that everyone could read & thanks for all the info. These are the people whom Allah has blessed with the true knowledge and wisdom. GILANI janay ko tyar nahi fojj yani KIANI in kay khilaf kuch nahi karay ga adlia der der kar salon baad aik faisla kerti hay zardari gandi siasatkhail raha hay karaci ko maidan e jang bana dia hay aur doosray masail kia honay ja raha hay????? Yes,he is back and tomorrow he might be present at his usual Aabpara address in Islamabad from 2 pm till maghrib i guess. Brother Baktar,Can you provide us the complete residence address of Aabpara? Many people have already sent me messages for that address. PAKISTAN NE ISLAM KE KONSI KHIDMAT KE HAI. KIA YE KE YE SHORO DIN SAY DAJJALI MULK AUR JADEED ZAMANAY KE HALAKO KHAN AMERIKA KA ITAHADI HAI.PAKISTAN NE MUSALMANO AUR APNAY AWAM KE JEENA HARAM KIA HAI MAGAR AMERICA KE HAR HUKAM KE TABEDARI KE.HAZARO KALMAGO AUR DEENDAR MUSALMANO KO SHAHEED KARNAY AUR AMERICA KE HAWALAY KERNAY KE ILAWA ISLAM KE BETE DR. AFIA KO AMERICA KE HAWALAY KIA JISS NAY AFIA KO BADTAREEN JINSE AUR JISMANI TASHADDAD KE NISHANA BANAYA.LAL MASJID KE WAQAE MAI HAZARON BEGONAH MUSALMAN HUFFAZ BETYON AUR IN KE ASATIZA KO ISLAMABAD ME CHAKLAY BAND KERNAY KE MUTALIBAY PAR, AMERICAN FOUJ NE NAHI BALKE PAKISTANI FAUJ NEY SHAHEED KIA. 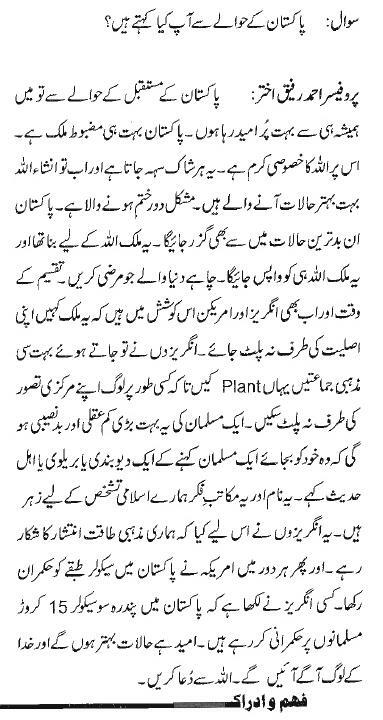 DAJJALI KAFIR AMERICA KE DUSHMAN AUR ISLAM KE AZADI KE LIAY LARNAY WALAY MUJAHIDEEN PAKISTAN KE DUSHMAN KESAY HO GAIY?.KIA YAHI ISLAM HAI??? What about Fakhra Younus and countless others? Kia woh Pakistan ki beti nehi hain? Kia woh musalmanon ki betiyan nehi hain? Humain unke haq main bhi awaz uthani chaiye? Kia hum isliye unke haq main awaz nahi uthate kyunke un par zulm karne wale hum Pakistani khud hain? y are we selective? do u disagree? when and where in pindi can we meetn prof. sahab?